At Magnolia Dental it is not enough for our dentists to have a D.D.S. (Doctor of Dental Surgery) degree. A D.D.S. degree means that dentists have completed 3+ years of an undergraduate education as well as 4 years of postgraduate dental school. Ross Quartano, D.D.S. has undertaken more than 500 hours of post-doctorate training in oral surgery, implants, endodontics, cosmetic dentistry, advanced prosthodontics, and Invisalign. In addition, Dr. Quartano has completed a series of foundational workshops offered by the Spear Center for Advanced Dental Education. A Covington dentist offers all types of tooth extractions and corrective jaw surgeries. Tooth extractions include removing partially erupted or impacted wisdom teeth, extracting decayed teeth and teeth damaged by trauma or root fracture, and the removal of primary teeth that haven’t fallen out. Corrective jaw surgeries include surgery for minor or major jaw trauma, incorrect bite or malocclusion, grinding, or clenching of teeth which have caused excessive tooth wear, and incorrect jaw positions that may cause the facial appearance to be out-of-proportion. Dr. Ross Quartano will also provide corrective jaw surgery for Temporomandibular Joint Pain (TMJ) and any dysfunctions caused by deformation or trauma. A Covington, LA dentist offers services related to dental implants. Dental implants are teeth restoration for patients that have lost 1 or more teeth because of periodontal disease or injury. Dr. Quartano will surgically position a metal post into the patient’s jaw. A replacement tooth will subsequently be attached to the metal post. A Magnolia Dental dentist provides endodontic or root canal treatment when cavities have been allowed to reach the pulp, or when the pulp has become infected. A root canal will disinfect tooth canals by cleaning out infected tooth pulp. After the infection is treated, tooth canals will be filled in, in order to prevent further infection. Cosmetic dentistry includes all dental work used to improve a patient’s smile or the appearance of a patient’s gums, teeth, or bite. Treatments considered to be cosmetic dentistry includes teeth whitening, composite bonding (where a composite tooth-colored resin is attached to chipped teeth to improve their strength and appearance), and composite and porcelain veneers (thin, hard shells of teeth-colored materials which can cover up many dental imperfections). Teeth that are heavily damaged may be covered with very natural-looking porcelain crowns, and porcelain bridgework can be attached to natural teeth on one side of a space to replace missing teeth. Titanium dental implants can be used to replace a missing tooth’s root portion, so a crown can be fitted. Composite or porcelain material fillings called inlays and onlays can be constructed to be applied to the inside or biting surface of teeth. Tooth-colored fillings can provide barely noticeable repair. Clear orthodontic aligners can be used instead of old-fashioned metal braces to straighten teeth. Cosmetic gum surgery can reshape gum tissue, and lasers and drills can be used for tooth reshaping and contouring. 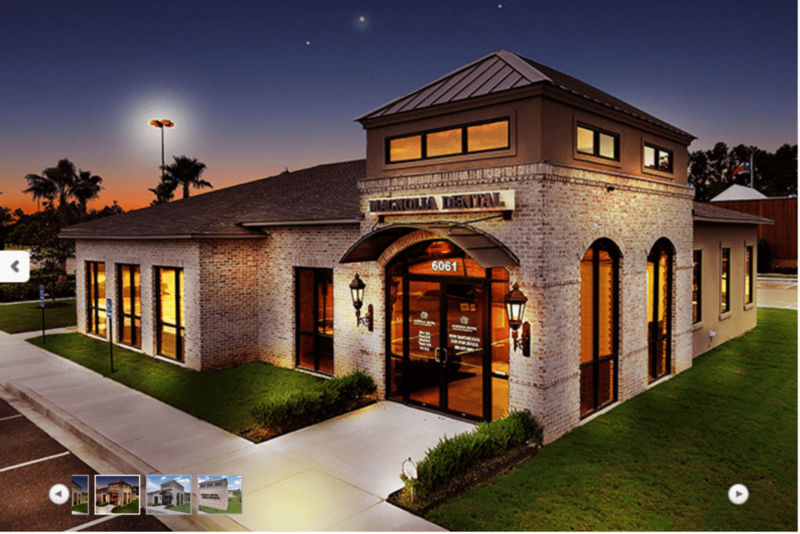 All of these dental services, and much more, are offered by Covington, LA Dr. Ross Quartano.